The 2015 “To Change Everything” US tour is off! Be sure to check the tour schedule on the CrimethInc. blog to see if they’re coming to a town near you, or email rollingthunder@crimethinc.com with questions or to solicit a presentation near you. Our discussion of the history and politics of flag-burning in Korea comes from this recent report on South Korea published on the CrimethInc. blog. 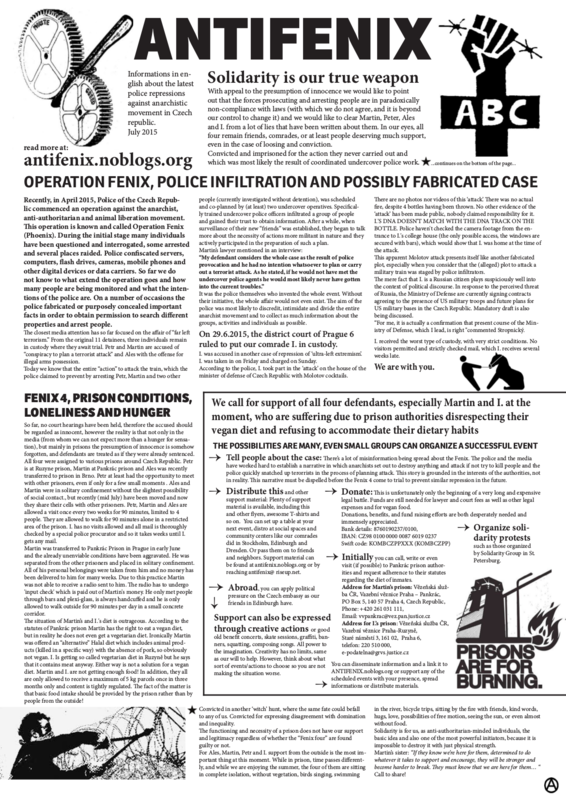 To learn more about anarchist repression and resistance in the Czech Republic, visit the Anti-Fenix support page; in particular, check out this printable English-language info poster and put up copies in social spaces near you. To learn more about the release of anarchist political prisoners in Belarus, start with the ABC Belarus website, the A-Radio Berlin interview we excerpted, and this article on the anti-anarchist crackdown. You can also see US corporate media coverage and an insightful Belarussian pundit’s take. Also, check out released anarchist political prisoner Ihar Alinevich’s book describing his prison experience On the Road to Magadan and these two short films in English on Ihar and fellow released prisoner Mikalaj Dziadok. Our coverage of the Suruc massacre mentioned a statement from the Greece-based Initiative for Solidarity with Rojava, journalist Amed Dicle’s questions on the Suruc massacre and calls for self-defense, Vatan Budak, the international call for anarchist actions against the Suruc massacre, repression of radical Kurdish youth in Eskisehir, Turkish state prioritizing of anti-Kurdish airstrikes over fighting ISIS and US complicity, the Irish Worker Solidarity Movement’s analysis of Turkish repression of Kurdish activists, and Istanbul neighborhoods’ declarations of autonomy. In our listener feedback section we strongly recommended checking out the zine How to Overthrow the Illuminati, an accessible tool for redirecting conspiracy theorists towards revolutionary analysis of their conditions. Trigger warning: it’s pretty Marxist. But it’s still the best resource out there that refutes Illuminati/etc. conspiracy stuff and offers concrete radical alternatives for understanding our social conditions. If you want some more specific anarchist responses to the Zeitgeist movement, there are a handful (though none that we would strongly recommend): a discussion forum on flag.blackened.net; a scattered critique from anarchistnews.org in 2009 that addresses TZM’s “non-political” posturing and notion of capitalism; a libertarian municipalist/post-scarcity economics, i.e. 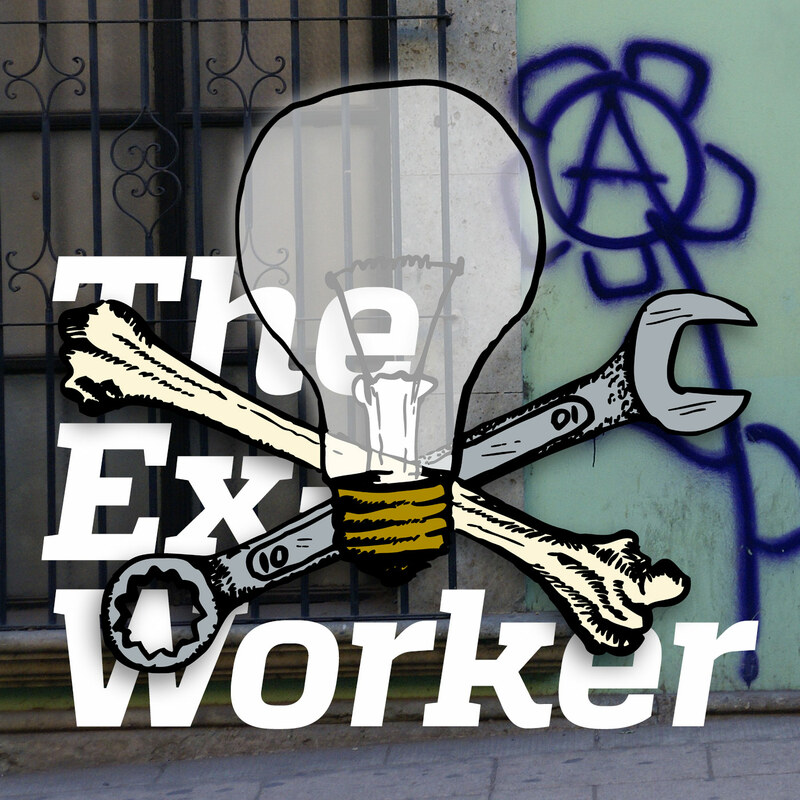 Murray Bookchin-influenced, perspective; a Scottish anarcho-communist blogger’s take on it, and a libertarian socialist on YouTube. Good luck out there. Also in the listener feedback section, we referenced a Gulf Coast anarchist newspaper called The Raging Pelican that served as a valuable tool for outreach and connection with folks in small towns across Louisiana, Alabama and Mississippi, as well as the Southeast Anarchist Network gatherings, which took place in Greensboro, NC in 2004 and Charleston, SC in 2005. We alluded in the Hot Wire to the slogan “Que Se Vayan Todos”, which was a popular cry in the streets during the 2001 Argentinian uprising. Anonymous hacktivist and anarchist Jeremy Hammond has been held for weeks now in punitive solitary confinement; his supporters have asked folks to consider writing him a note to help him keep his spirits up. Find his current address and tips on writing him here. Support Alabama anarchist prison rebel Michael Kimble by writing the parole board a letter supporting his parole hearing in December; check out his instructions on how to write an effective letter on his behalf. Events mentioned on Next Week’s News included the “Connecting European Struggles” ctake place in Malmo, Sweden - check out theFinalStrawRadio.noblogs.org for an interview with organizers; Global Justice Ecology Project action camp against GE Trees on in North Carolina on September 24–27th; Flood Wall Street West, in San Francisco on September 28th; the No New Animal Lab demonstration in Seattle on October 2nd; anarchist book fairs on the 2nd through 4th in Florence, Italy, and on the 24th in London, UK, and the Torch anti-fascist network conference in Philadelphia November 7–8.